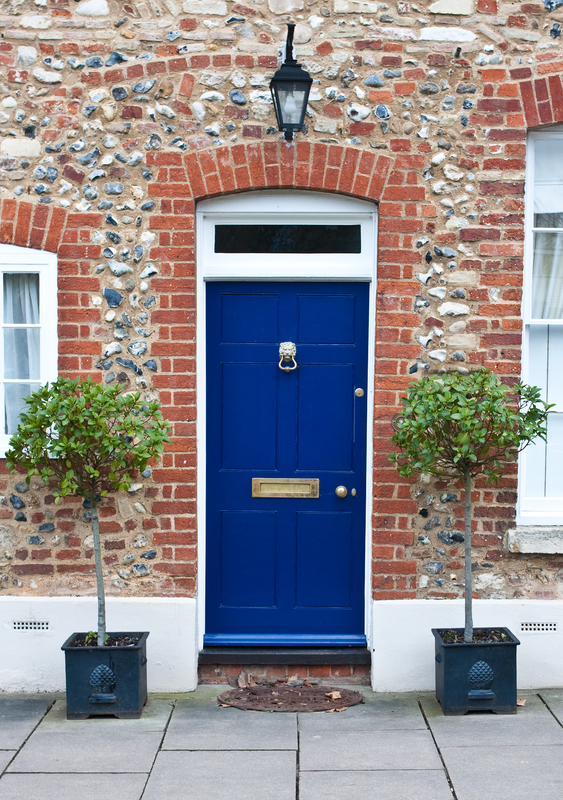 A healthy front door is essential as it is one of the most important areas of the home. This is where healthy chi energy from outside enters and flows around the whole home, nourishing all rooms and spaces. How chi travels towards the front door, what it meets when it arrives there and how it enters are important. Its journey can make it tired, depressed, angry and unhealthy, or it can make it happy, energised, balanced and healthy. It gets angry rushing along a straight path to your front door, so stagger some plants in pots along the path, to make chi curve. Chi loves plants. It will stop around them for a while, gathering healthy energy. Unsightly objects like recycling bins, old pots, piles of rubbish or dead plants will make chi unhealthy. So keep the front area looking tidy and pleasant. No squeaky hinges, rusty knobs and knockers or peeling paint. Polish the shiny parts and give it a new coat of paint. Make sure the door opens to its full width. Chi doesn’t like being squashed. Chi is attracted to lights and plants. They make it healthy. Plants around the door, either side of the door step for balance, and a light above, are perfect. Your own energy can affect the quality of chi that enters. If you enter feeling negative, you risk weakening the chi. If you enter feeling good, chi will bounce around with health. 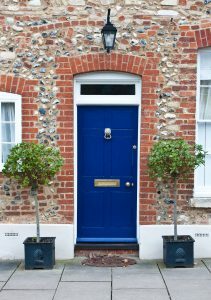 We cannot always feel upbeat, but if you find your front door and front garden pleasant to see and to walk through, you will bring good chi in with you. but you can make a very positive start with the points above.